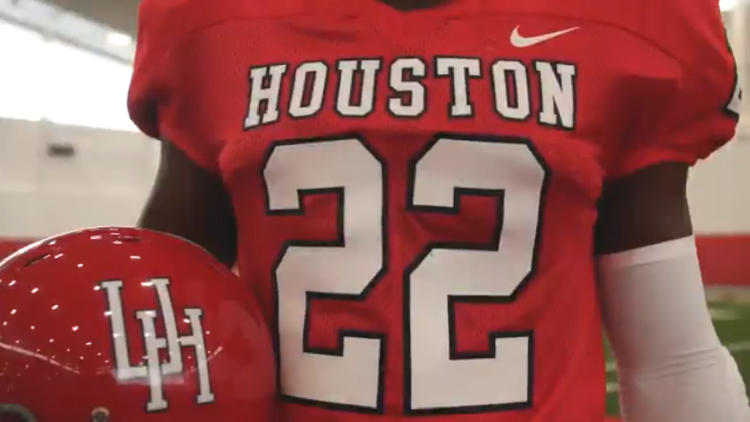 For the newer generation of Houston fans, it will a treat to see this throwback, but for the older generation, it will feel like a blast from the past on homecoming Nov. 10 against the Temple Owls. Except it will not be former Houston head coach, Bill Yeoman, calling the plays from the Cougars’ sideline. Nor it will not be Ken Bailey (’68) or Danny Davis (’78) under center driving the offense down the field against the Owls. Instead, the Cougars will adorn throwback uniforms from their 1968 and 1978 seasons. Taking it back in time for @UHHomecoming on Nov. 10! #HTownTakeover to rock the uniforms of the 1968 and 1978 era and you can bid on game-worn jerseys thanks to @houstonalumni! In 1968, Yeoman led Cougars – eight years after having left the Missouri Valley Conference to become independent – to an 6-2-2 record. Ending the year No. 18 in the AP, massing a record-breaking 100-6 win over Tulsa on Nov. 23 in the Astrodome. The season also included a 29-7 win at No. 17 Ole Miss and ties at No. 4 Texas (20-20) and at No. 7 Georgia (10-10). The 1978 Cougars were in their second year as a new member of the Southwest Conference after having joined in 1976. The Cougars was proving to be forced to be reckoned with under Yeoman’s Veer offense in the Southwest Conference when playing against Texas, Texas A&M and Arkansas. The Cougars won their second Southwest Conference title after finishing 7-1 in conference play and 9-3 overall with wins over No. 10 Florida State (27-21), No. 6 Texas A&M (33-0) and No. 6 Texas (10-7); earning a trip to the Cotton Bowl Classic against Notre Dame and finishing No. 10 in the AP polls of the season. Houston fans may bid for their own game-worn throwback jerseys thanks to The University of Houston Alumni Association (UHAA).